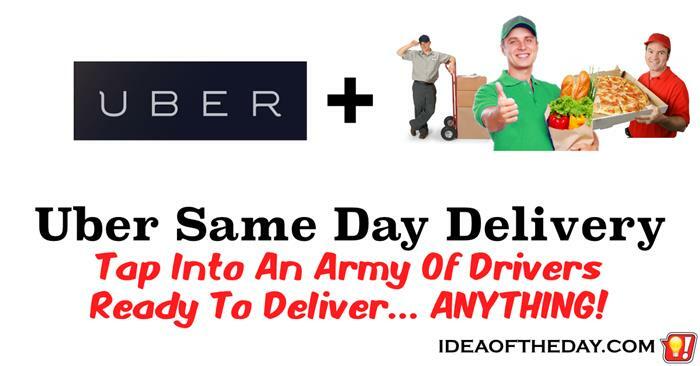 Uber Same Day Delivery. An Army of Drivers Ready to Deliver... ANYTHING! Remember the first time you got an overnight delivery? We take it for granted, but when FedEx first started, It was revolutionary. When they first started, it was pretty expensive, but people didn't mind. Their slogan was "When it absolutely, positively has to be there overnight". They were banking on the fact that people who need a package overnight are willing to pay a premium. They were right. People hate waiting for things, and millions of people started sending packages overnight.